Revista de Investigación Clínica - Clinical and Translational Investigation publishes original clinical and biomedical research of interest to physicians in internal medicine, surgery, and any of their specialties. 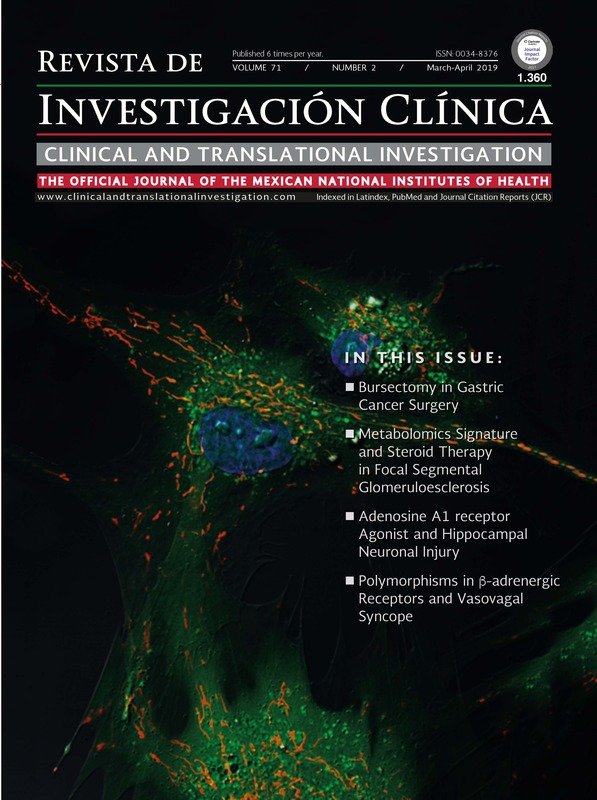 Revista de Investigación Clínica - Clinical and Translational Investigation is the official journal of the National Institutes of Health of Mexico, which comprises a group of Institutes and High Specialty Hospitals belonging to the Ministry of Health. Revista de Investigación Clínica - Clinical and Translational Investigation has an Editorial Committee composed of international European and American leaders to aid in the selection of subjects and experts. Revista de Investigación Clínica - Clinical and Translational Investigation published both online and in printed version, appears bimonthly, and publishes peer-reviewed original research articles as well as brief and in-depth reviews. All articles published are open access and immediately and permanently free for everyone to read and download. when the new issue of a journal is published.